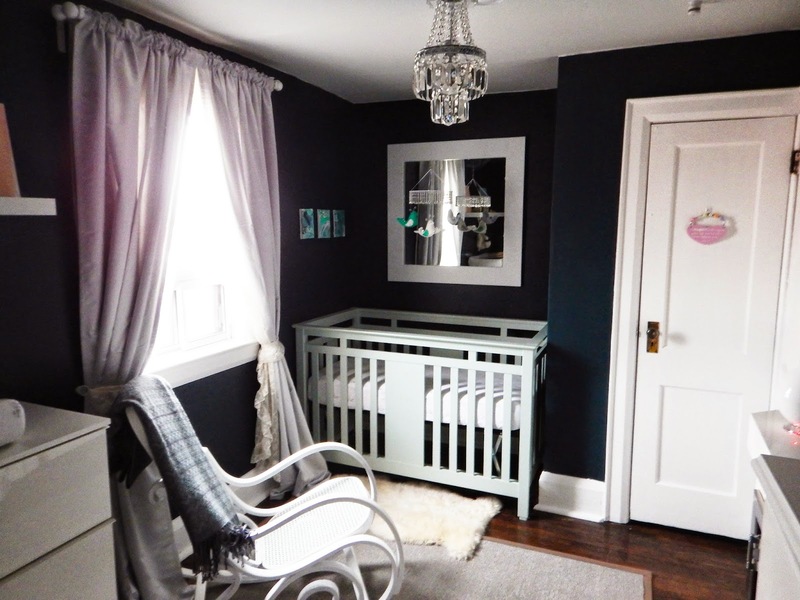 Before I show you the finished nursery, I'll share our colour scheme. 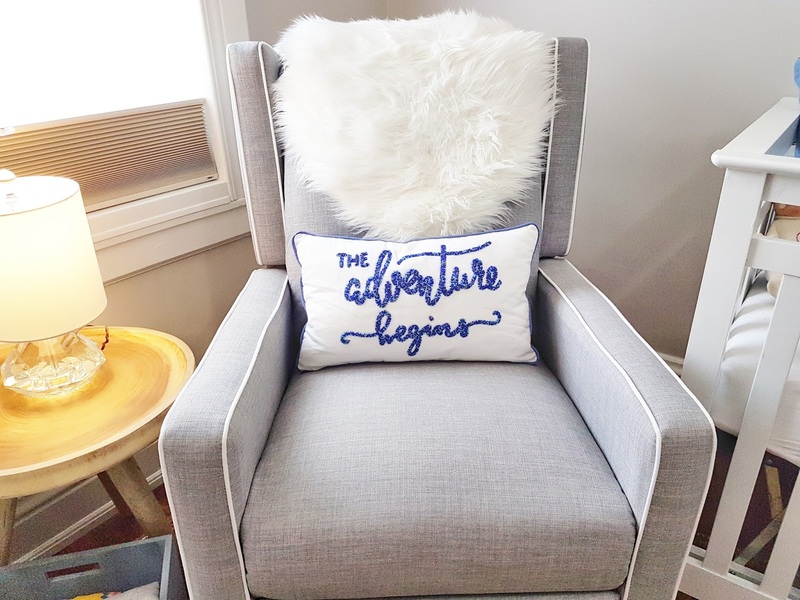 We bought this house hoping that we'd need to make one of the upstairs bedrooms a nursery and my pregnancy was confirmed the day we took possession. We've actually had swatches up on the walls since December while we tried to choose the perfect colour for Maude's room. We loved the dark walls in Rudy's old nursery (below) but we have been choosing light and airy wall colours in this house and a dark room (although very serene and relaxing) wouldn't quite fit. 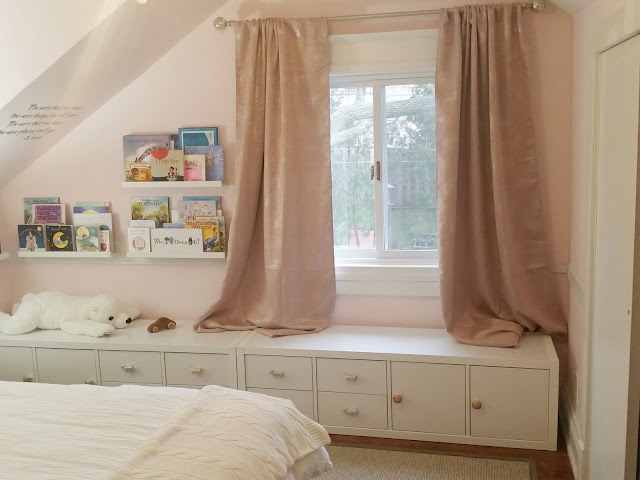 We love the soft pink we chose for Rudy's "big girl" room and I love the way the lighter walls accent the sloped ceiling without making the room feel claustrophobic. We thought we'd want a colour just as light but decided on a more neutral theme. Here's a photo of the nursery that I took the day we moved in. The room has a lot of floor space but the sloped ceilings made it best suited as a child's room. 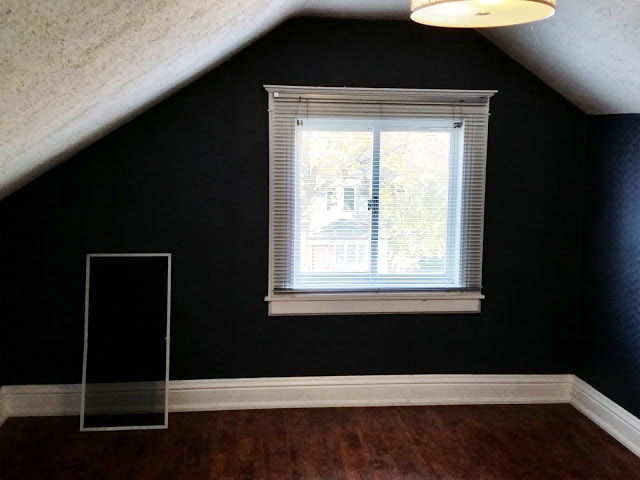 The dark navy wallpaper made the space feel much smaller than it really was and the stucco ceilings were begging to be smoothed. We had a crew smooth the ceilings and prime the walls. We decided we wanted a light grey wall colour. We chose to stick with a Farrow and Ball colour, since they are highly pigmented and often change beautifully with the light. 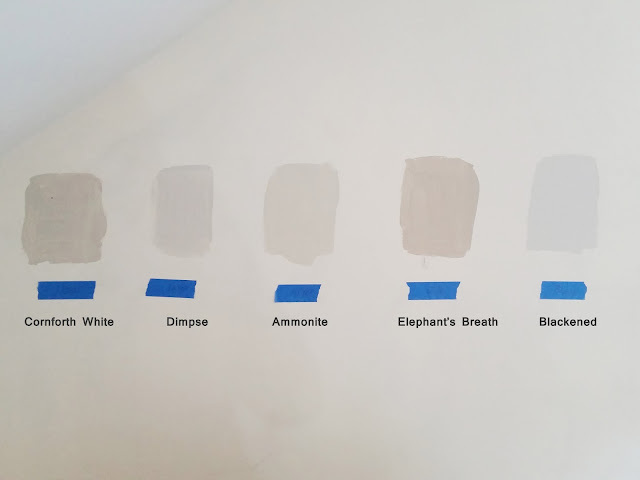 We tested our favourite warm greys: Cornforth White, Dimpse, Ammonite, Elephant's Breath and Blackened. In the end, we opted for Ammonite, which seemed like a good backdrop for the light wood and blue accents we had in mind.